December was a rough month. I consumed Swiss mountains of chocolate in all its forms: milk, semisweet, bittersweet, bitter, dark, and white (which I don’t consider chocolate but that is an argument for another time). It has been torture. Within those aforementioned categories, I devoured chocolate desserts, chocolate bars, chocolate cakes, chocolate cookies, anything sporting chocolate chips, all in the name of science. Adding insult to injury, I also had to drink vast quantities of alcohol in support of all that chocolate. Again, all in the name of research. Why so much chocolate and alcohol? My task was to find the perfect beverage to pair with chocolate. This is not a straight forward pairing. Wine and chocolate tend to compete for the same taste buds. It takes a bit of experimentation to find the best wine and chocolate pairings. One rule of thumb is to match lighter chocolate with lighter bodied wines; likewise the darker the chocolate the more full bodied the wine should be. Dessert wines are worth consideration. I know, I know there are times when dessert wines seem superfluous. Yet there are other times when it seems a meal cannot possibly end without that last sip of liquid goodness. In fact, dessert wines often replace dessert. 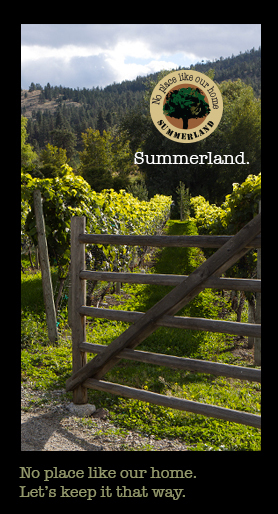 Dessert wines range from ports, late harvest Rieslings, golden Gewurztraminers, aged Sauternes, fragrant Muscats, sweet sherries and ice wines. Un-arch that eyebrow. I am not talking about a two four of Pilsner enjoyed by face painters at a Rider’s game. 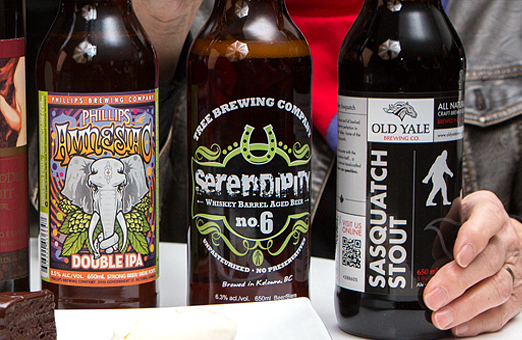 Rather, with the proliferation of craft breweries, beer is finding its way onto the menu. Beer and food tasting events are gaining in popularity and beer lovers are learning that beer has an amazing capacity to pair with all kinds of foods. There are those that contend beer may actually be more food friendly than wine because of its broad range of flavours. Those are fighting words in the sometimes precious world of wine. However, there are many who believe it takes a lot of beer to make a good wine. 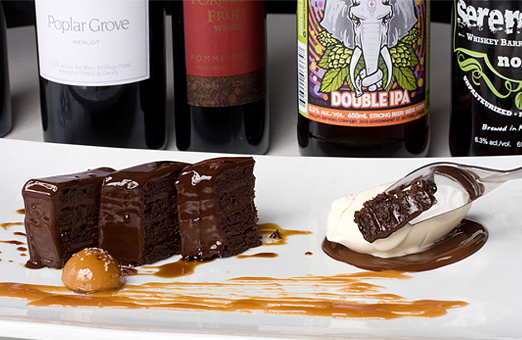 As with wine and chocolate pairings, beer and chocolate should be matched strength with strength. 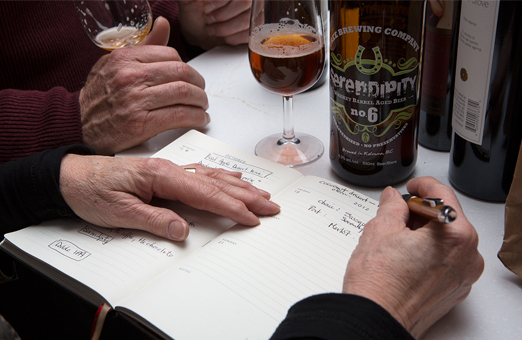 Beers suitable for sampling with chocolate might be fruity Lambics, rich Stouts or wheaty Hefeweizens. 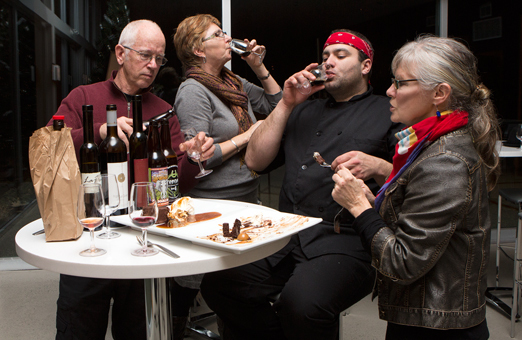 Executive chef, Bruno Terroso, of The Vanilla Pod Restaurant at Poplar Grove Winery, was coerced into preparing a special chocolate dessert to test drive a few dessert wines and craft beers. Chef Bruno revealed only that he would prepare a dark chocolate torte. 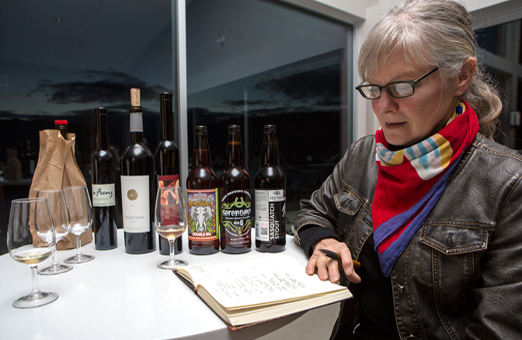 Armed with that information, a selection of BC craft beers and Okanagan wines were chosen with attributes that might pair nicely with this chocolate creation. Chef Bruno produced a beautiful, bold chocolate torte with complimentary elements of salt, coffee, caramel, chocolate and a whipped cream quinelle. The wines were tasted first: Pomme Desiree, 2007 Merlot, NV Muscat Liqueur and, finally, the Port. Each wine was enjoyed on its own merits and then with a mouthful of torte and the additional elements. Next the Sasquatch Stout, Serendipity and finally the Amnesiac. 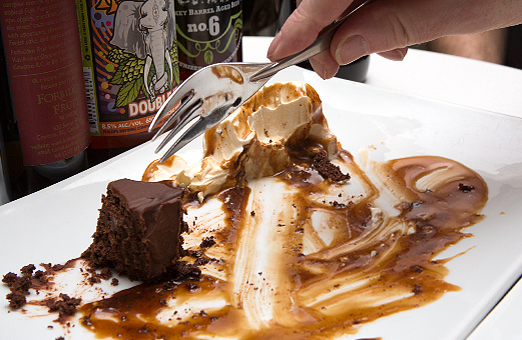 Individual beers were sampled followed by a forkful of decadence. It was determined the Muscat Liqueur and the Pomme Desiree were good wines on their own but did not pair perfectly with the dessert. The 2007 Merlot was also a very good choice but the Port was a slightly better fit with a hint of spice on the nose and a flavour rich in cherries. As for the beers, the Amnesiac was a little too assertive and the Serendipity was very smooth but a less than perfect pairing. However, the Sasquatch Stout was a surprise hit. It pours black with roasted flavours of dark chocolate and coffee bean with a rich caramel aroma. The consensus: the Port and the Sasquatch Stout were delightful companions to the sublime chocolate creation of Chef Bruno. Whatever your choice, beer, wine or a tall glass of milk, there is no right answer. It is all a matter of taste – your taste. Not every pairing works as anticipated but provides a great opportunity to explore the unexpected.